Get great looking results when you renovate with these tile spacers. 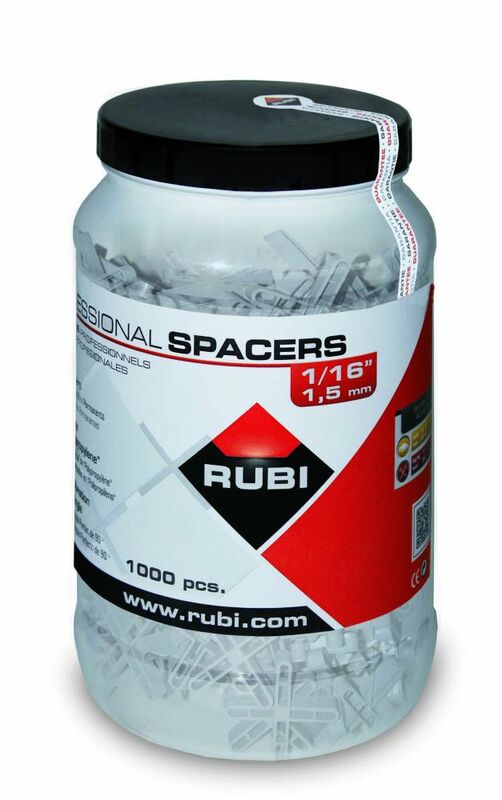 Perfect for use with all sizes of ceramic tile, porcelain, stone, and marble, these spacers will even out your work to create a professional look. Great for the do-it-yourselfer, handyman or contractor, these spacers are ideal for maintaining level horizontal grout lines during installation. Crucial for achieving a level first row of wall tile, these spacers help you avoid slippage on vertical surfaces. QEP Horseshoe Tile Spacers are the perfect choice for spacing and aligning marble, granite, stone and large format tile installations. The Horseshoe Shim design has a pro-proven track record for quickly and easily, spacing and aligning both horizontal and vertical tile. QEP Horseshoe Shims are injection molded for dimensional accuracy and will not compress under heavy loads, making them especially helpful in vertical installations. QEP Horseshoe Shims are reusable and are packaged in a convenient, reusable tub. The Q.E.P. Co., Inc. Bulls Eye Clear view 1/16 in. and 3/16 in. Tile Spacers (Bag includes 100 spacers and 50 Spacer Wings) feature durable PVC construction and an open-center design for quick alignment of tile corners. These versatile spacers come in 1/16 in. and 3/16 in. sizes to suit your needs. Jar Leavin Spacers 1/16 is rated 5.0 out of 5 by 1.